Proudly Dutch, TW Steel stand unique amongst its rivals concentrating exclusively on continuing to develop and lead the oversized watch market established with the introduction of its first collection in 2005. 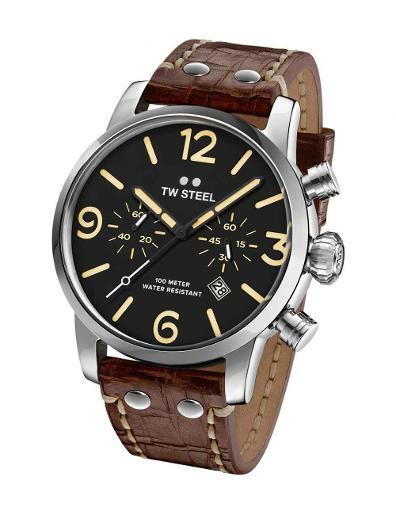 TW Steel, the name meaning "The Watch in Steel", has rapidly established itself as a big, bold, lifestyle brand. Its collections are reflective of, and available for all tastes and occassions without compromise to design or build. Successfully combining design and innovation, TW Steel offers a defined sense of individuality with style and quality assured. Put simply, wearing a TW Steel makes a powerful statement.